Art Print: Leading his troops into battle in this patriotic painting is Admiral Lord Nelson aboard the legendary HMS Victory. 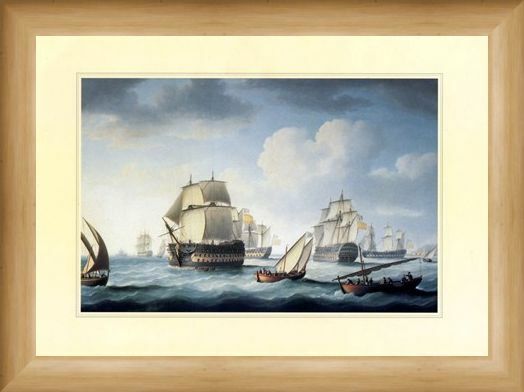 With stormy waters and crashing waves, this painting captures the gritty nature of the 1805 battle. 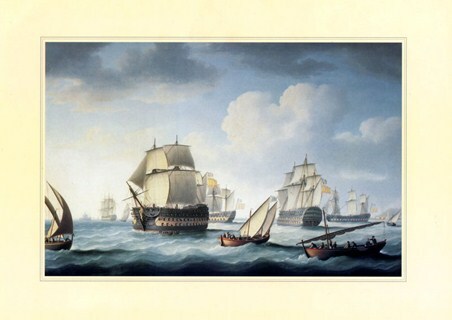 With Spain and France combining forces with thirty-three ships and the British with only twenty-seven, it would have been a lost cause if it were not for the strength and might of English troops who won what was to be one of the most decisive British naval victory's of the war. 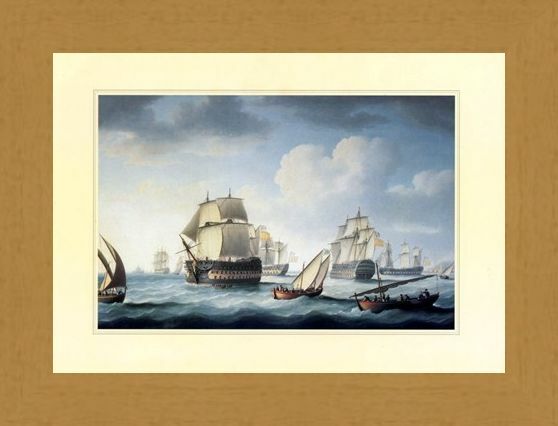 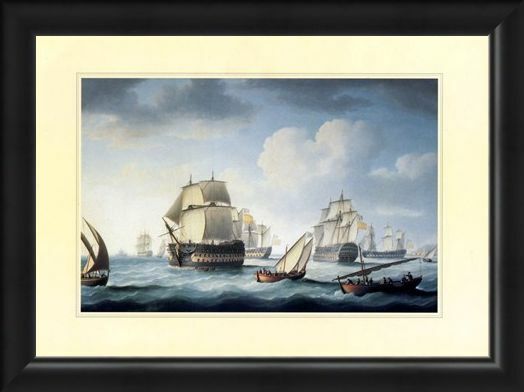 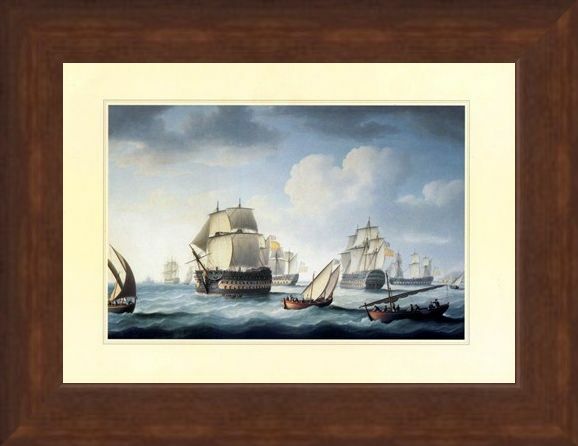 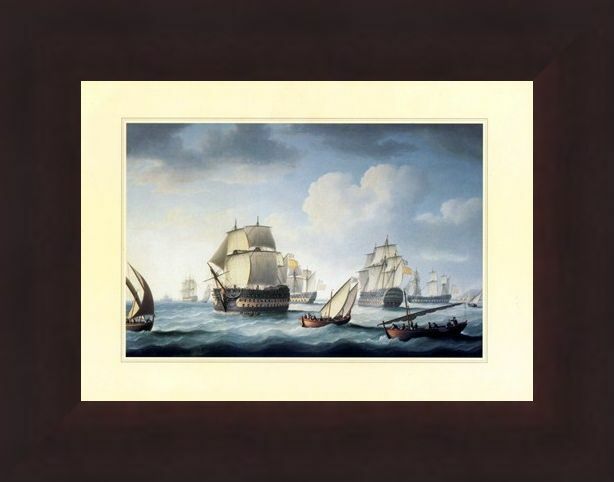 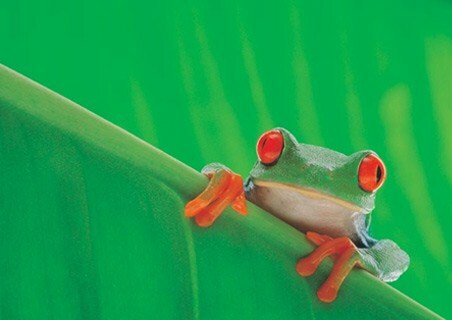 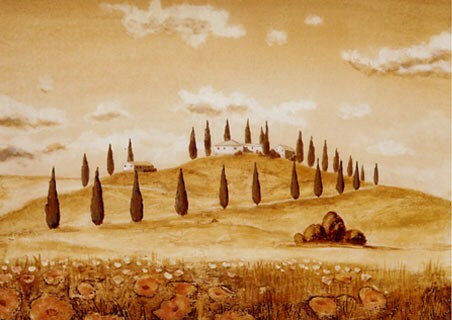 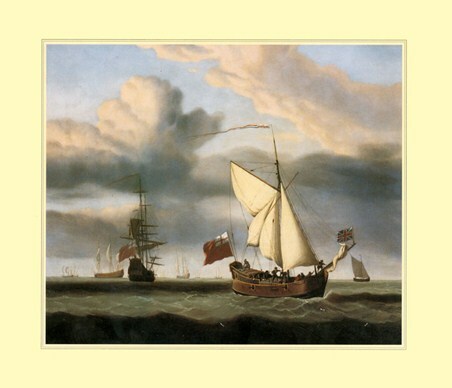 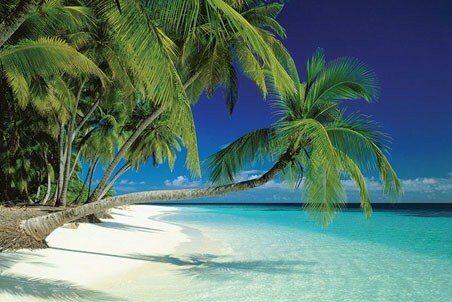 Steeped in history and beautiful imagery, this stunning print would make a patriotic addition to any home. 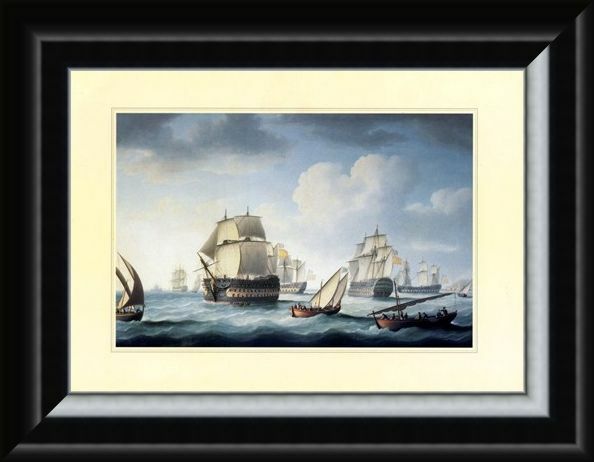 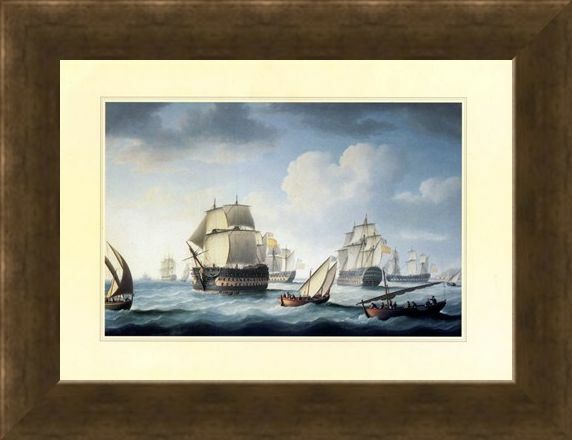 High quality, framed The Battle Of Trafalgar, Naval Warfare mini print with a bespoke frame by our custom framing service.